The Anna Apple is our first apple of the season, blooming in early February and with fruit ripe and ready to eat in early July. 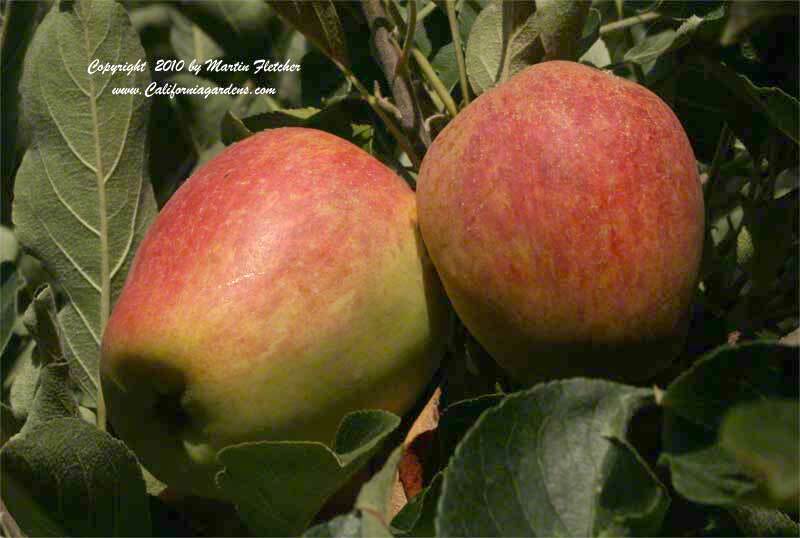 The crisp sweet Anna Apple is green with a red blush on the sunny side of the apple. The apples are often quite columnar, significantly taller than wide. The Anna Apple is very low chill and will produce fruit at the coast. The Anna Apple requires a second pollinator, we use the Dorsett Golden as it has a similar flowering time, typically starting a few days after the Anna. Apples are produced on spurs and at the tips of untrimmed branches. The tips of the branches are often too weak to support fruit. Fruiting spurs can produce fruit for a decade or more so I am careful when picking the fruit not to yank off the spur too. Apples are fairly easy to prune to shape and espalier. This is great for fitting in that one more tree into an already "full garden" each season. The Anna Apple is a host plant for the Western Tussock Moth Caterpillar. Apples can grow up against a wall or fence, or be made into a living fence like this Belgian fence. I have arched 4 apples into a living arbor. I am amused when folks describe an apple's flavor in terms of store bought apples. The flavor of a freshly picked tree ripened apple is so much more complex and wonderful and seems to bear no resemblance to the flavor of that dented red thing they called an apple at the store. Fruit of the Anna Apple. High resolution photos are part of our garden image collection.